A day trip to Gili Nanggu, Gili Kedis and Gili Sudak, a different Indonesia! No traffic, no vendors, but just unexploited nature and plenty of tropical fish. It takes 1,5 hours drive from Senggigi by private car to reach the nearest harbour in Sekotong, South West of Lombok. After breakfast, meet your guide at your hotel's lobby then you will be transferred to the harbor in Sekotong which located in the South West of Lombok. Your guide will organize a boat charter for a day. Boat type to use is an outrigger motorized wooden boat and takes only 30 minutes crossing from Sekotong to Gili Nanggu. Upon arrival in Gili Nanggu your snorkeling guide/boatman will assist you to find the good spots for snorkeling. 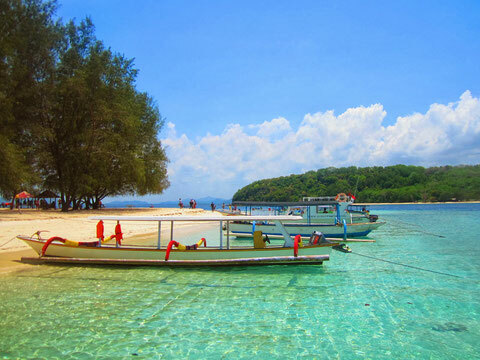 After snorkeling in Gili Nanggu, you may visit other islands Gili Sudak and Gili Kedis. In Gili Sudak to hunting the starfish, while Gili Kedis is a beatiful smaller island where perfect to swim and sun bathing. Lunch will be served at an appointed local restaurant on the island. After enjoy the islands, you will be escorted back to main island/Sekotong where the car awaits to drive you back to your hotel.